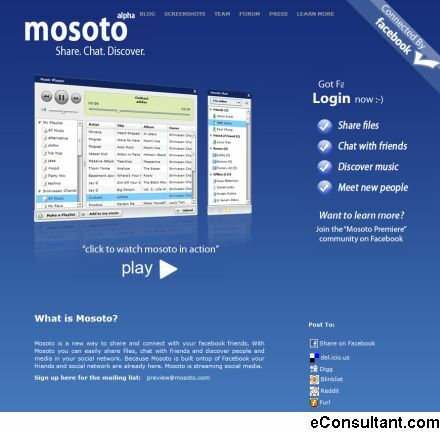 Description : Mosoto is a new way to share and connect with your facebook friends. With Mosoto you can easily share files, chat with friends and discover people and media in your social network. Because Mosoto is built ontop of Facebook your friends and social network are already here. Mosoto is streaming social media.